Bellon Mit BM20 is the ideal solution for those, looking for a professional and effective maintenance of natural and synthetic grass surface. BM20 has been developed to infill or refill when installing or looking after synthetic grass carpets. 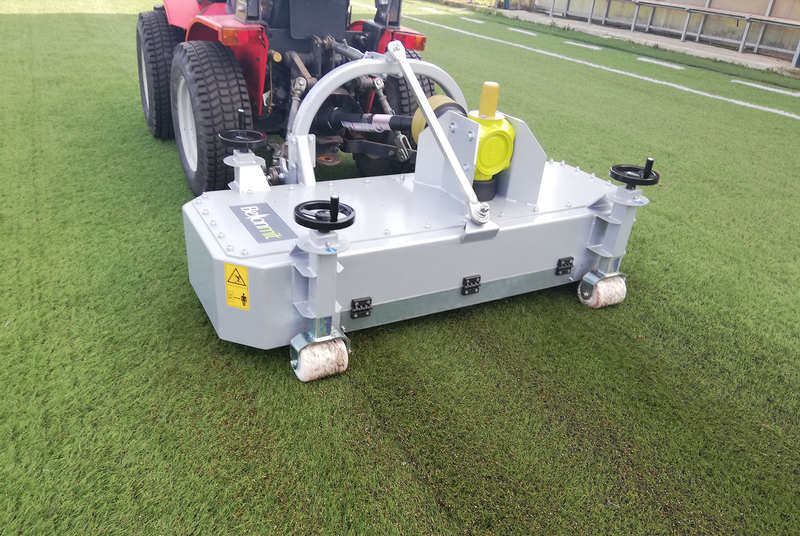 It can also be used for the final organic matter removal on natural grass hybrid carpet pitches when carrying out annual renovations. 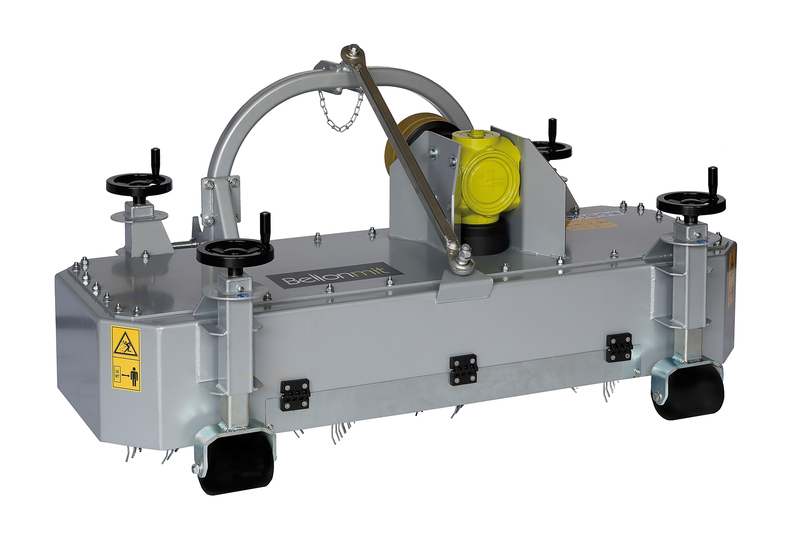 The machine moves on 4 supporting rollers which are adjustable in height to allow the most appropriate working depth. The rotors can be equipped with springs or linear brushes in PPL. Rear linkage to tractors of at least 30Hp.